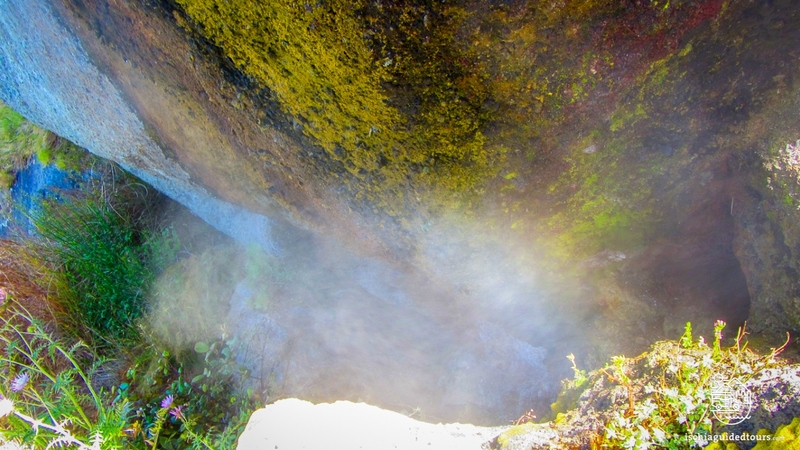 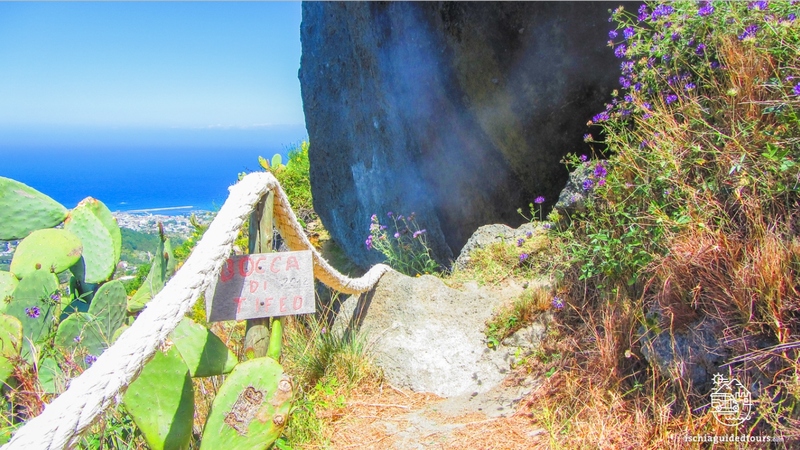 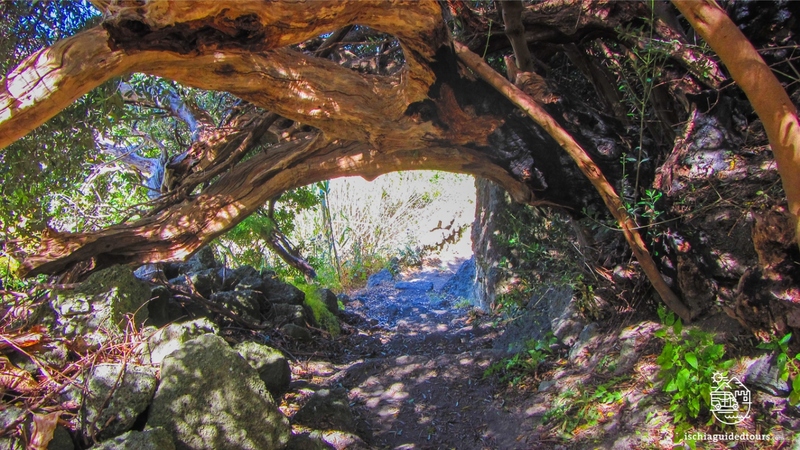 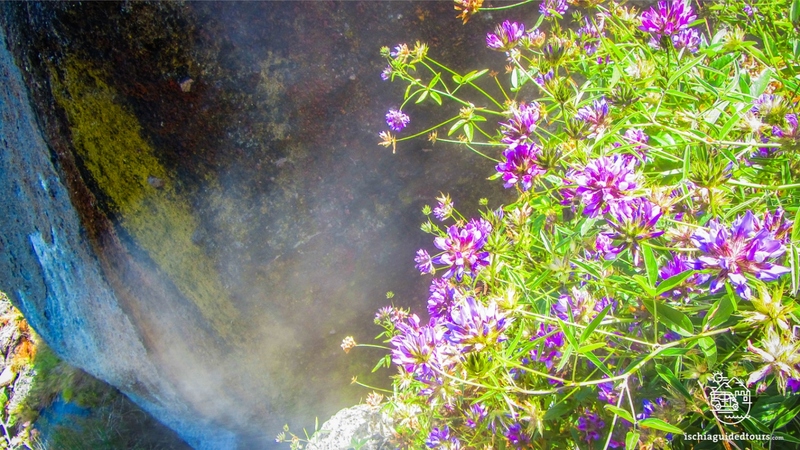 The path to reach “the mouth of Tifeo” is an interesting trek across a fumarolic field, an area above the town of Forio rich in hot springs, volcanic gas and steam. 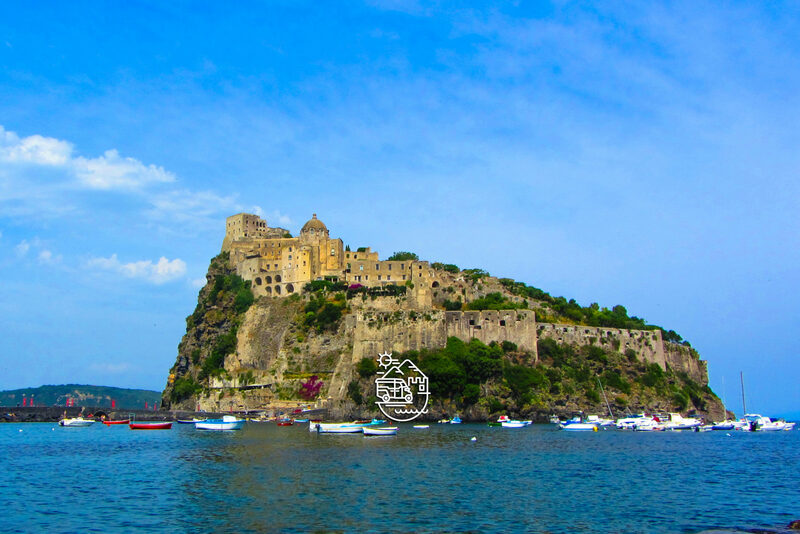 According to an ancient myth, the giant Tifeo (Typhon) was imprisoned under the island of Ischia, defeated by Zeus in a battle. 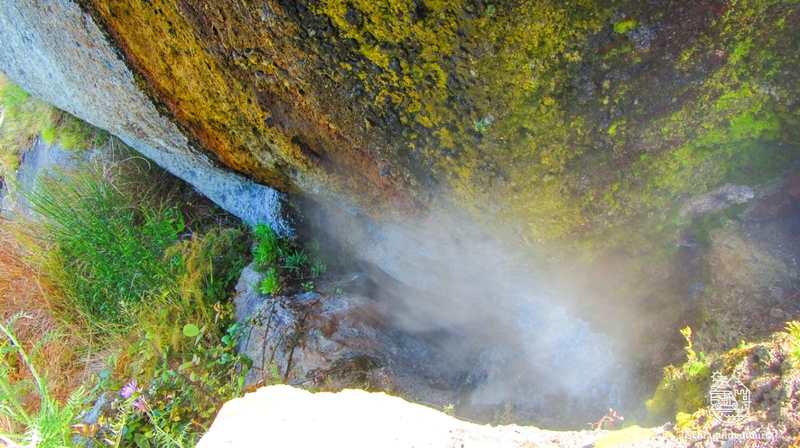 Tifeo now lies under the island and his tears and his breath are the cause of the hot water springs and the fumaroles. 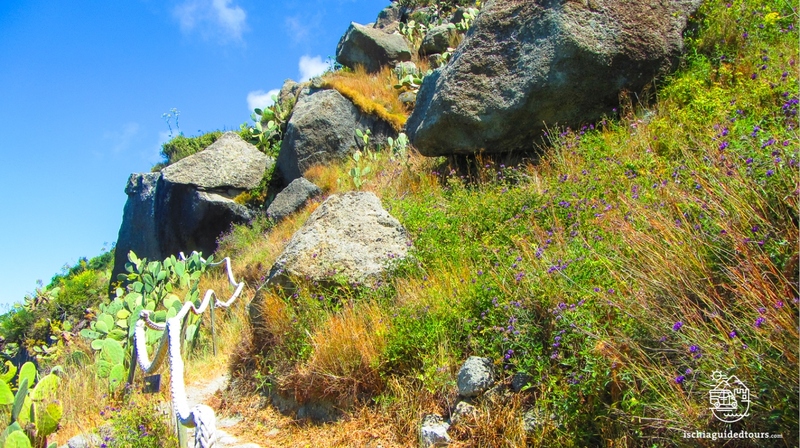 On this trek we reach the mouth of the giant Tifeo (!) 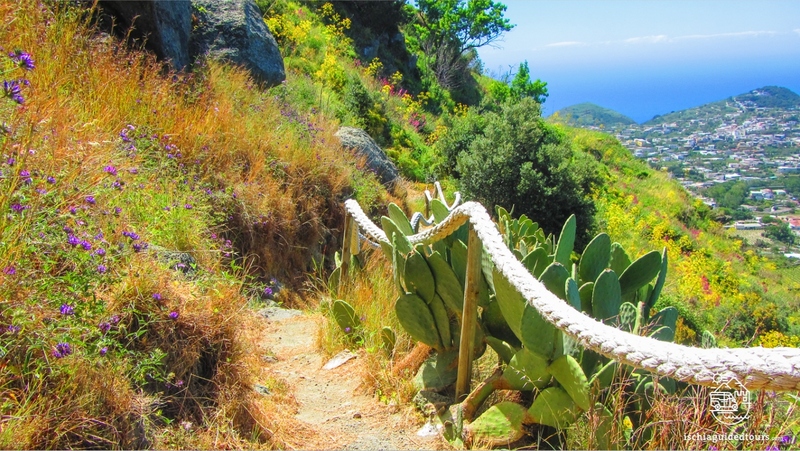 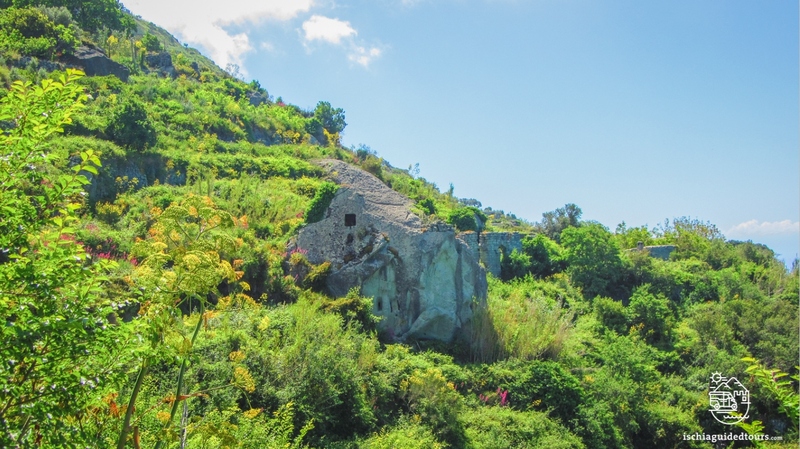 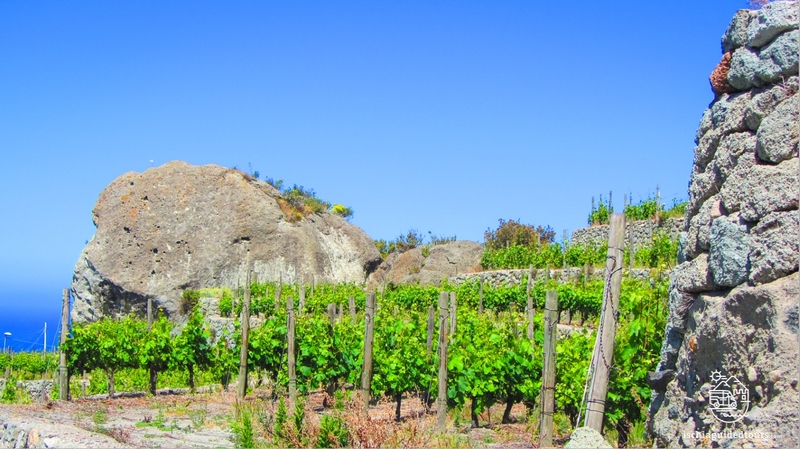 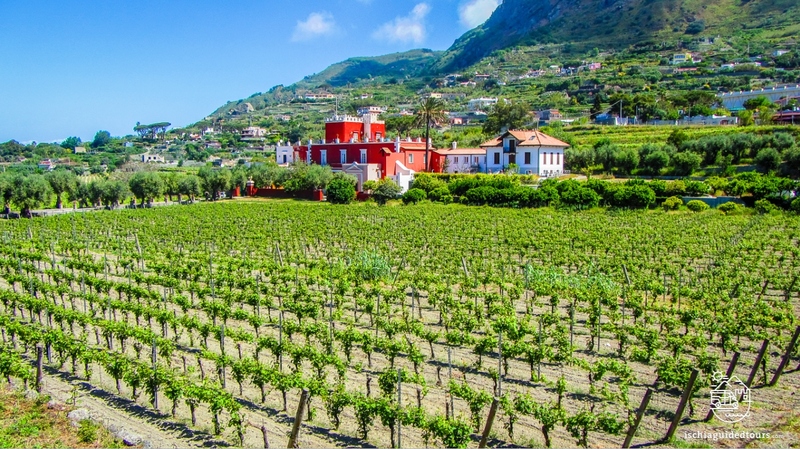 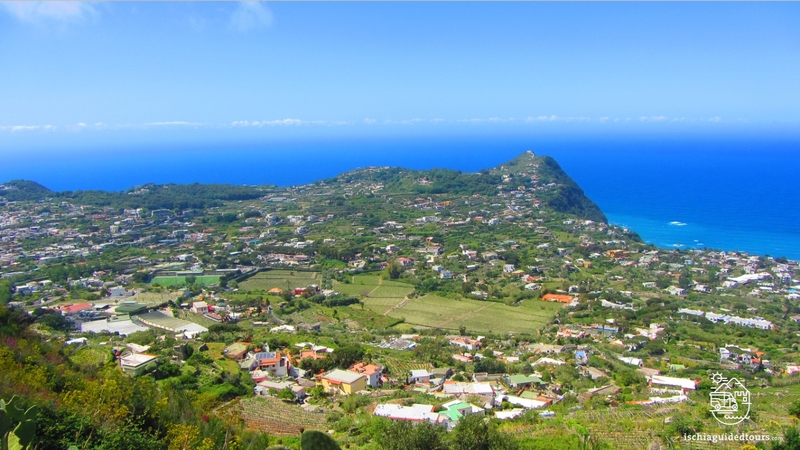 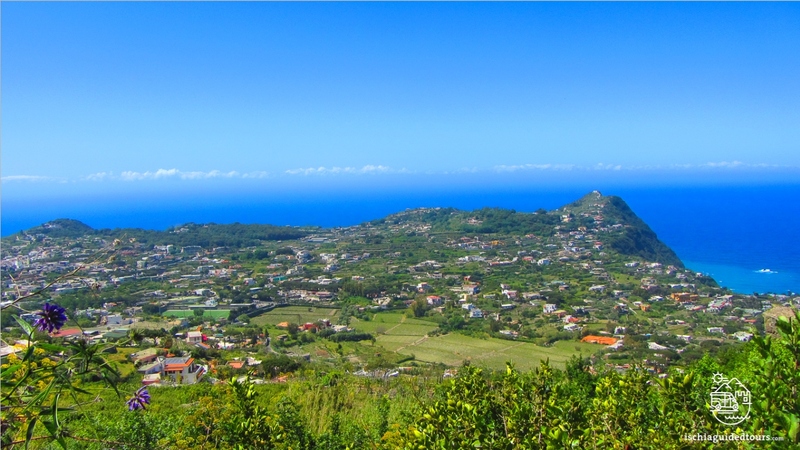 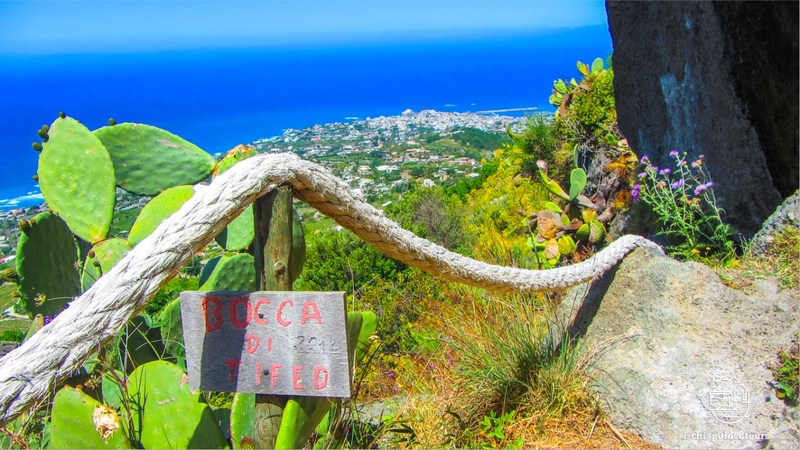 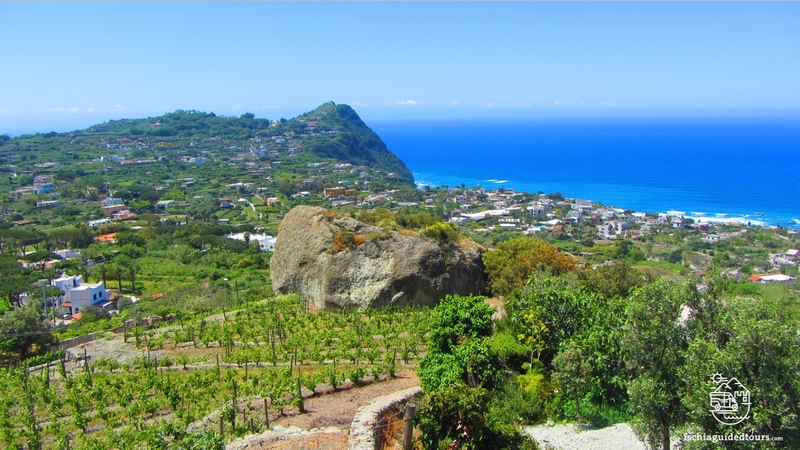 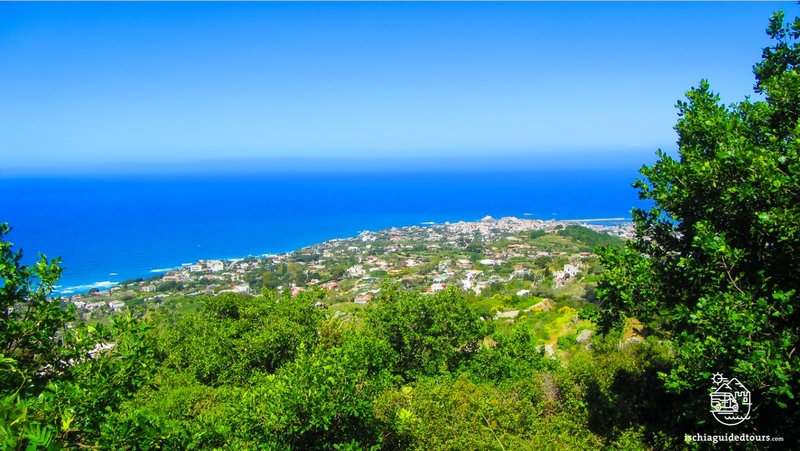 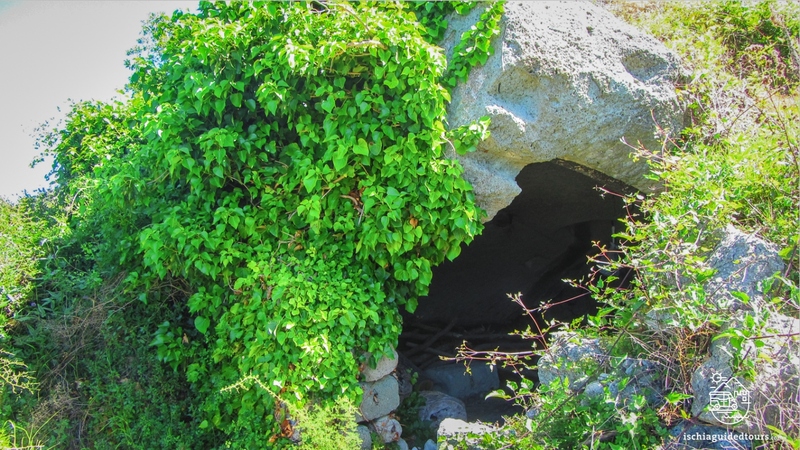 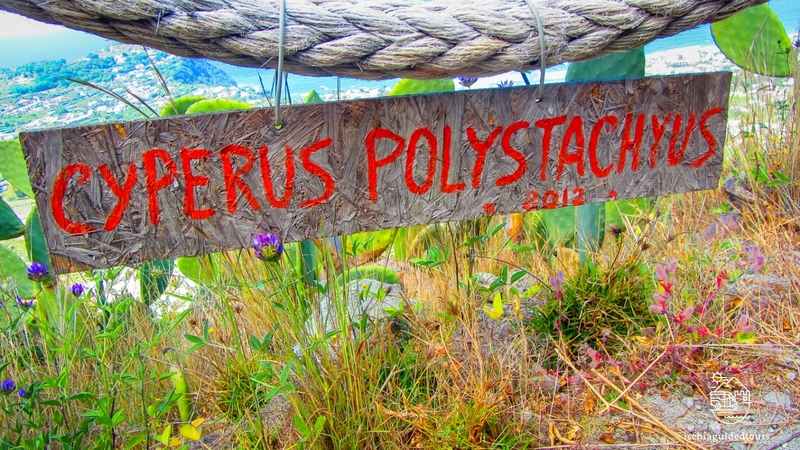 and discover some incredible green scenery of Ischia, consisting of vineyards, green tufa stone houses and a rare flower called “Cyperus polystachyus” that only grows in subtropical climate.